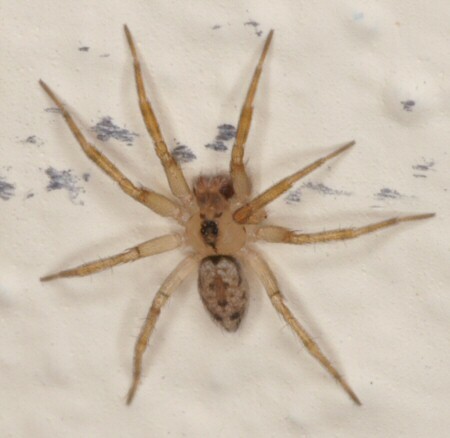 Common names for these spiders are wall spider, baseboard spider and stucco spider. 101 species are described world-wide. 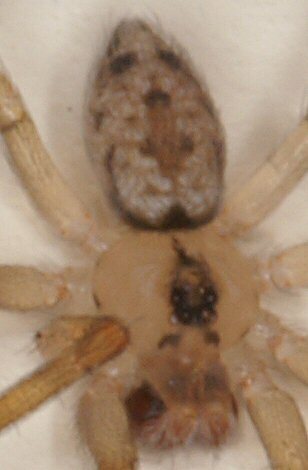 It are cribellate spiders with six or eight eyes. Only a single species occurs in southern Europe, Oecobius navus . 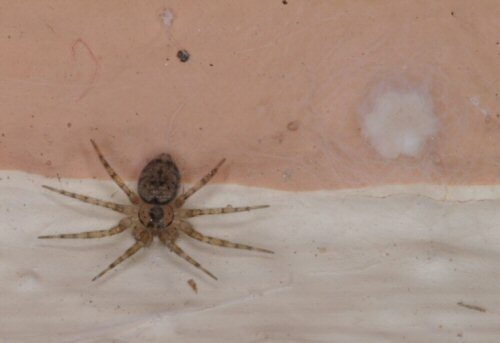 The spider is cosmopolitian and only lives inside houses. She makes a disc like web with a diameter of 30 mm with signaling threads to detect prey that stumbles over these threads.. The spider hides under the web and runs very quickly out if she detecs a prey or when disturbed. 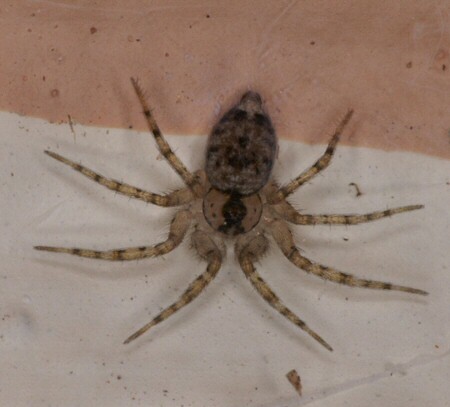 Oecobius navus photographed by Luis Crespo, Porto de Mós, Portugal. 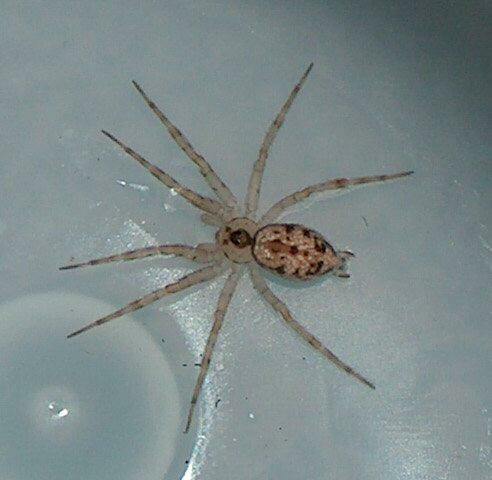 The next spiders were found on the Canary island La Gomera. 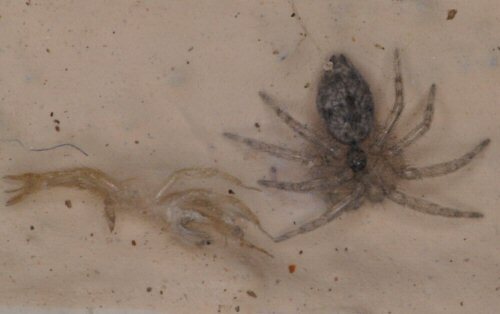 Seven different species are identified on this small island.